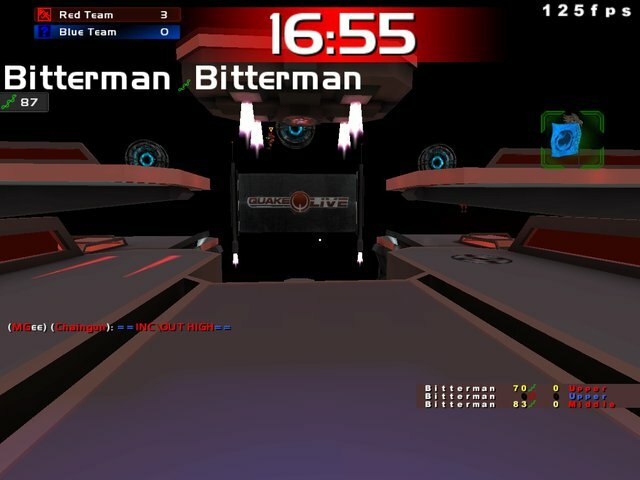 Description: Includes a small extra text file with a script that makes you easly center your teamoverlay in your screen just like on the screenshot. 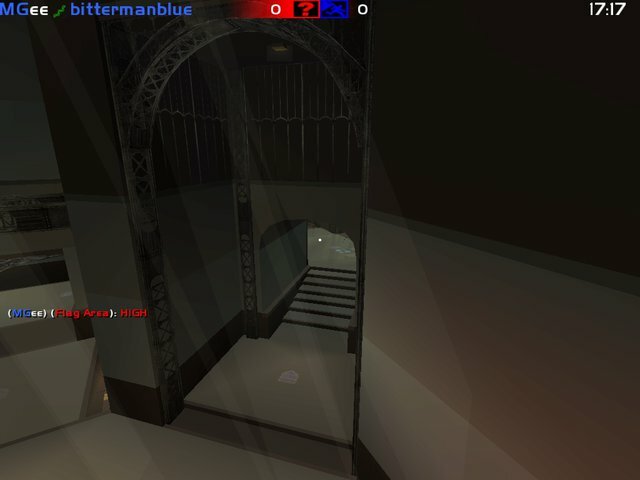 I did this because the teamoverlay is a right-alligned item and every map has their own area-names (their lengths) which makes it out centered after each map. 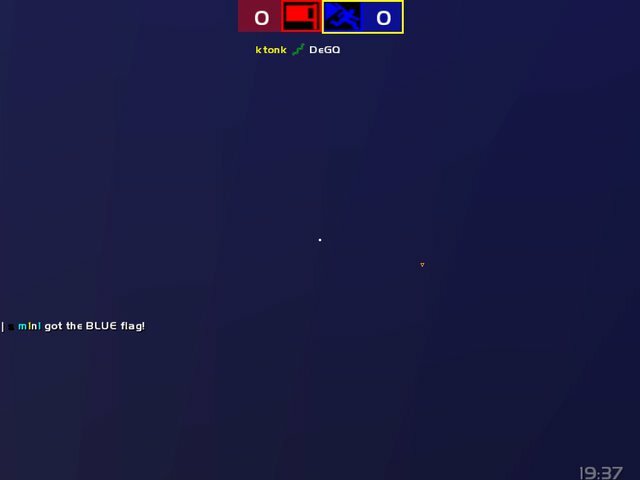 There is a notification in warmups so you dont forget to center it each map. Just copy-past the text of the script and put it in your config to make it work. 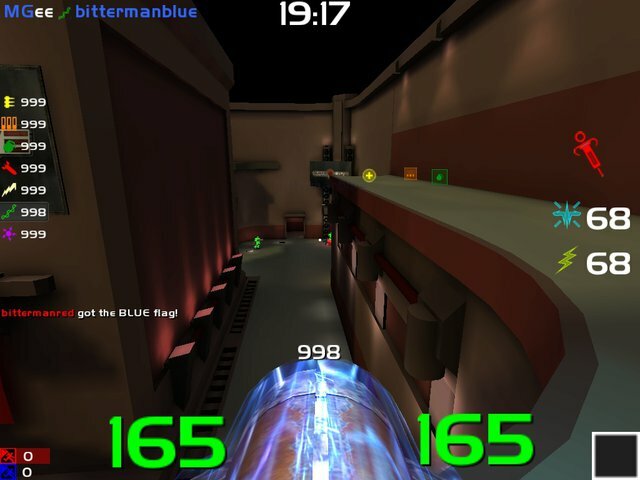 Description: iCTF HUD with small blinking indicators whether the enemy and your team has the flag. 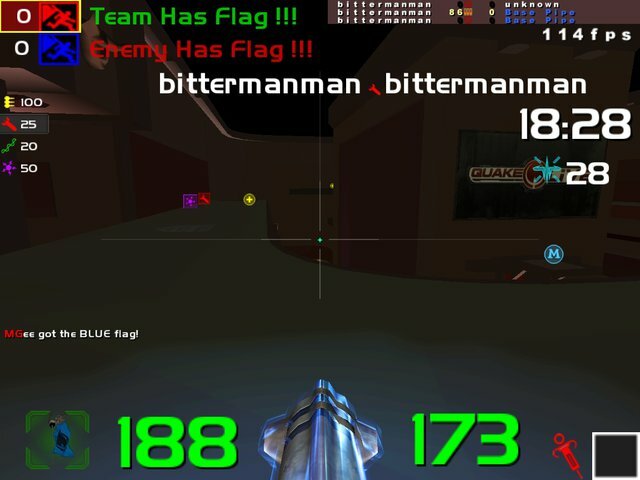 (previous HUD i uploaded doesnt have the green blinking your team has the enemy flag indicator. 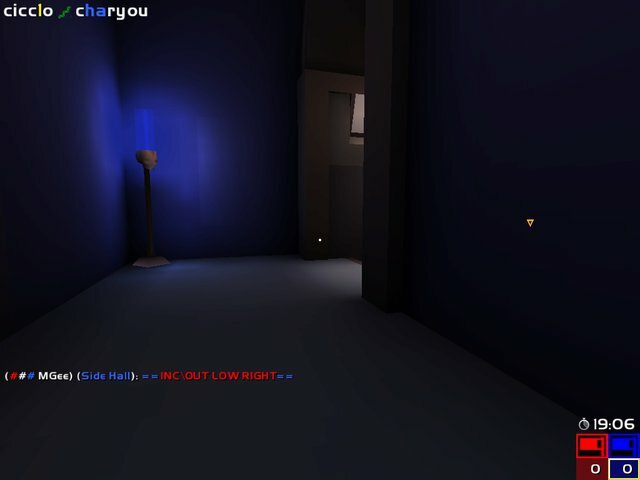 Description: Most recent iCTF HUD i use, with small blinking Flag stolen indicator. 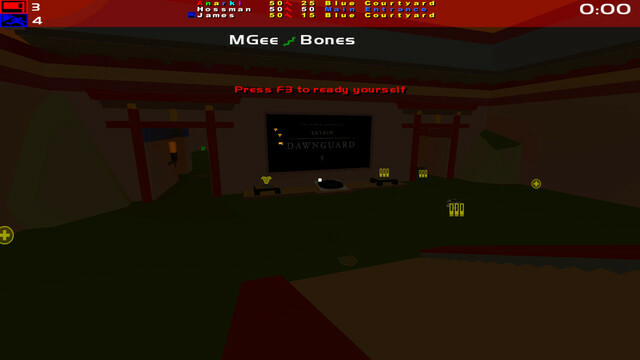 Description: Update, more clean look with slightly easier-to-read HUD items (refined their position). 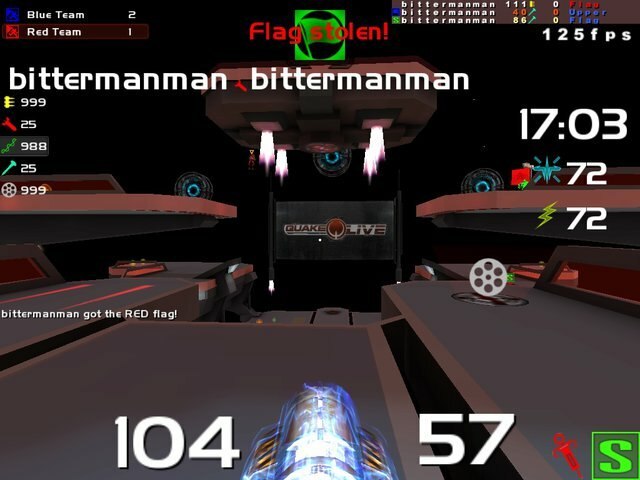 Description: CTF HUD im currently using. 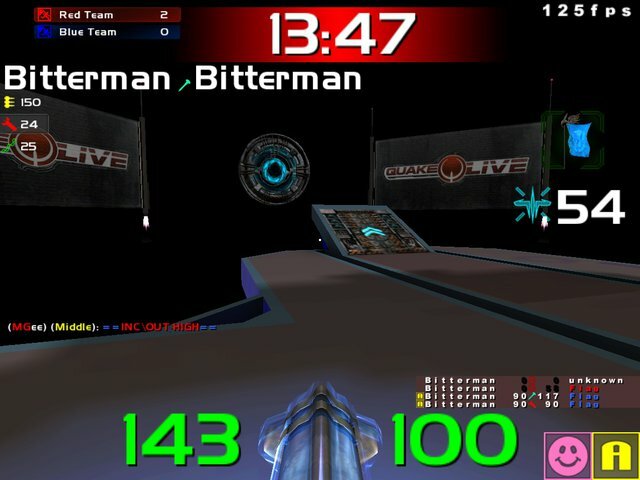 Description: Bugfix, the still alive playercounters are now also available @ Freeze games. 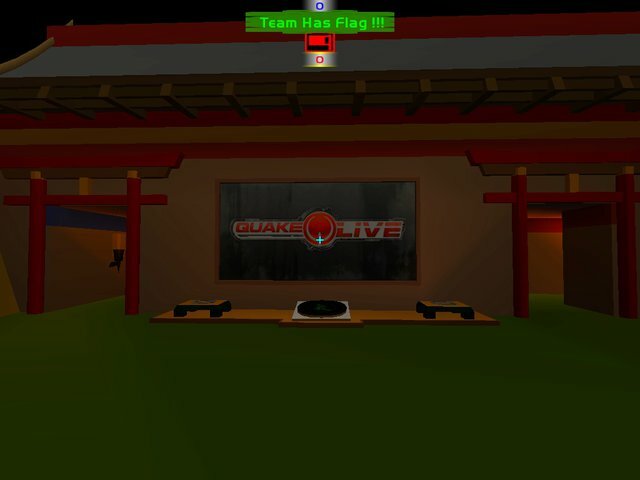 Description: QuakeLives Large HUD with fixed teamscores which were shown in the wrong positions since the last update Premium Pak 9, July 19 - 2011. 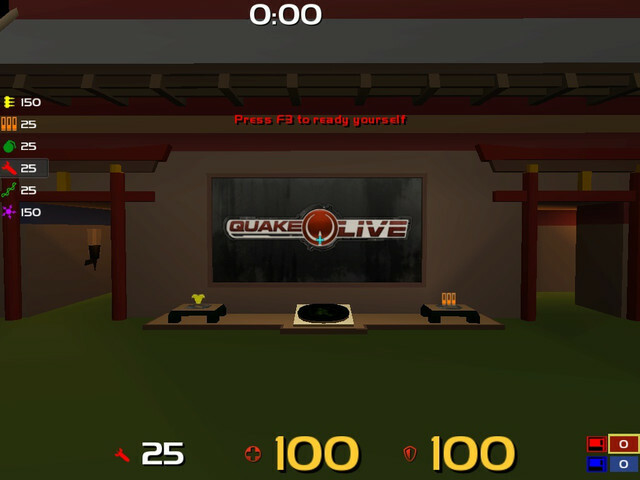 Put the 2 files in your quakelive/home/baseq3/ui folder and change the HUD cvar to the right value: cg_hudfiles ui/LargeHUD.cfg (dont forget to put the .cfg behind it or it wont work). 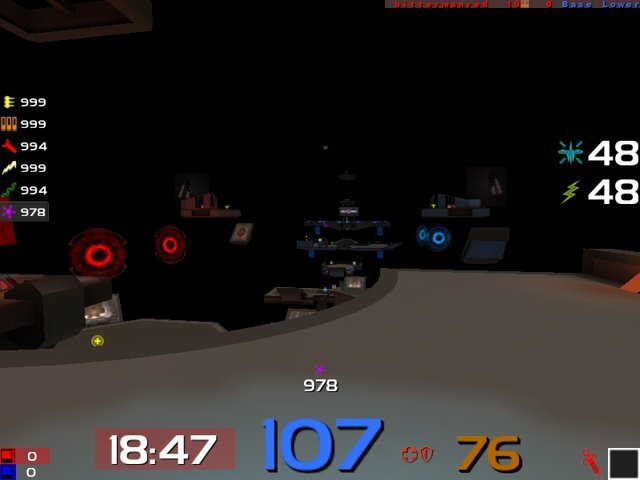 Description: This probably wont be the last version of this experimental iCTF HUD since this seems to work pretty good. 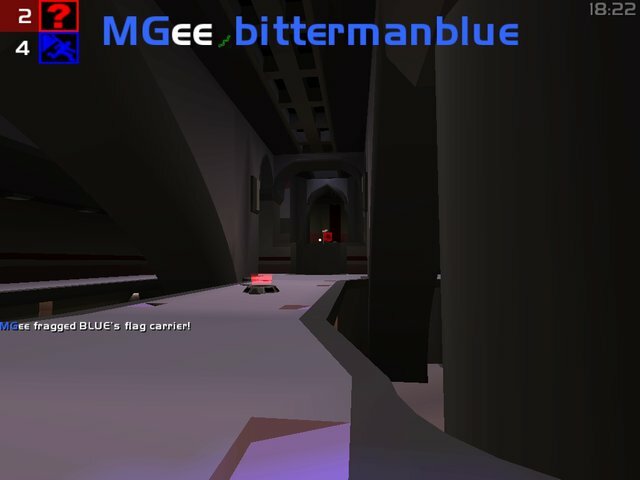 Its still in development but the basics/idea is already there. 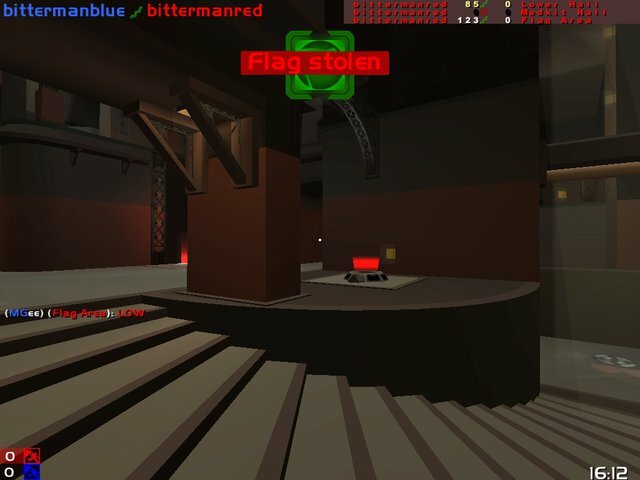 A stolen flag will also be notified with a blinking bar with the text: Enemy Has Flag !!! in it. 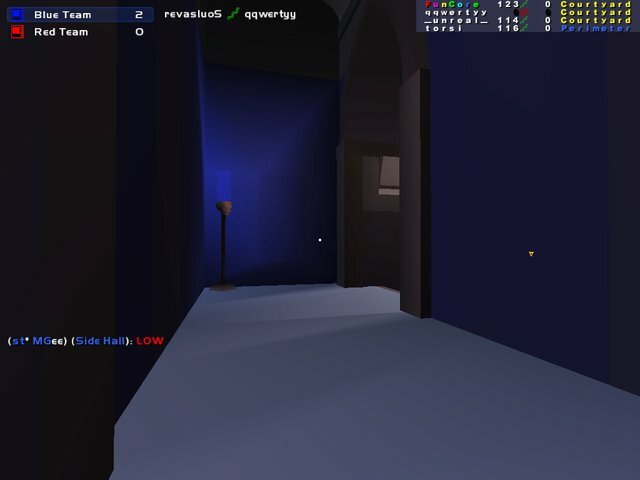 Updates from this HUD are probably comming soon. 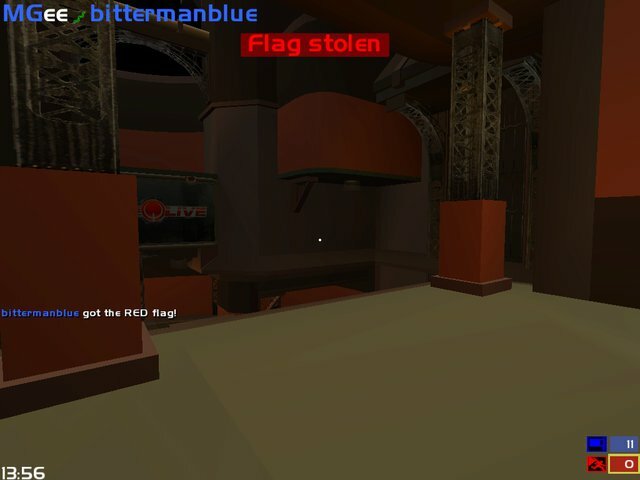 Description: My final CTF HUD. 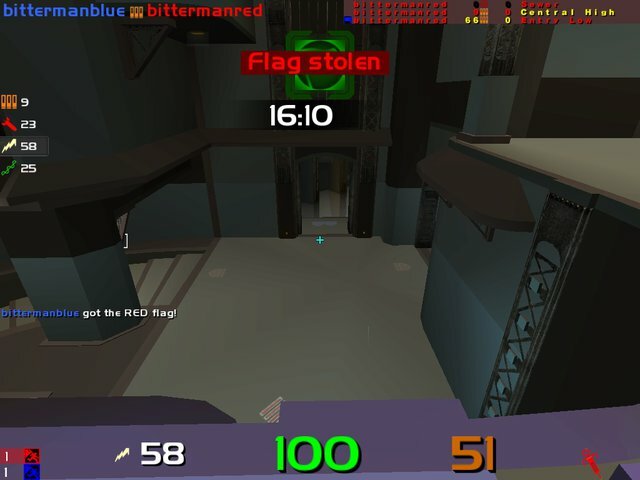 CTF HUD, MGeeCTF. 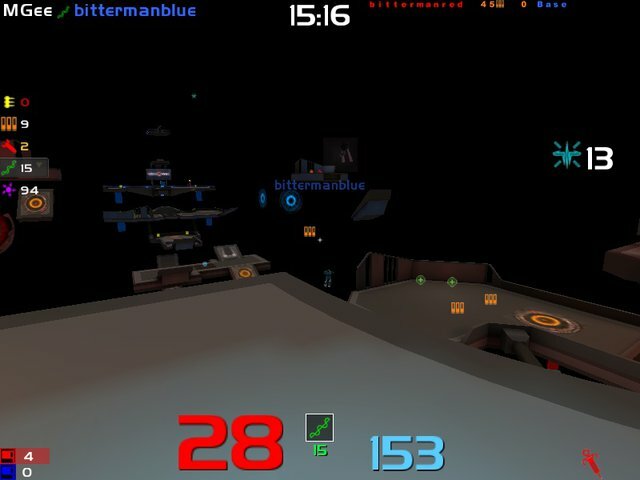 Description: My final Instagib CTF HUD. 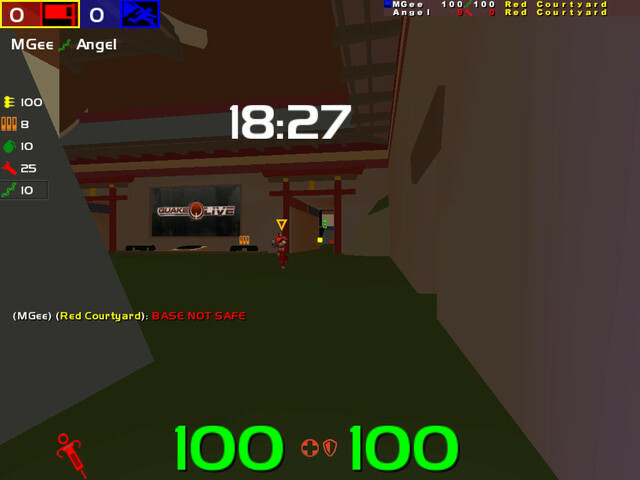 iCTF HUD, MGeeiCTF. 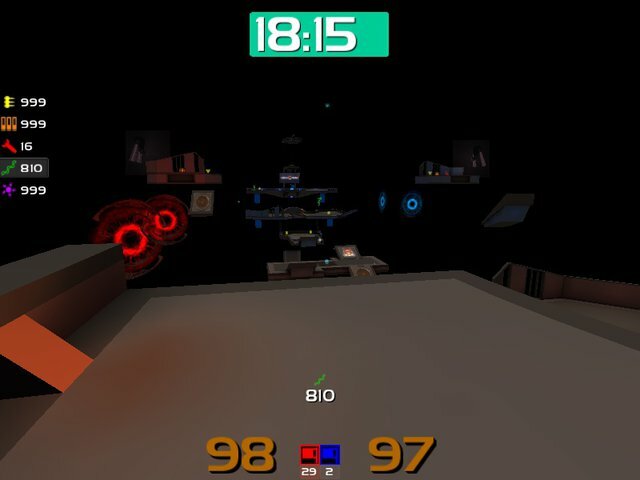 Description: A pure Instagib HUD which works perfectly in any gametype. Completely clean code with a minimalized look which is easy asjustable. 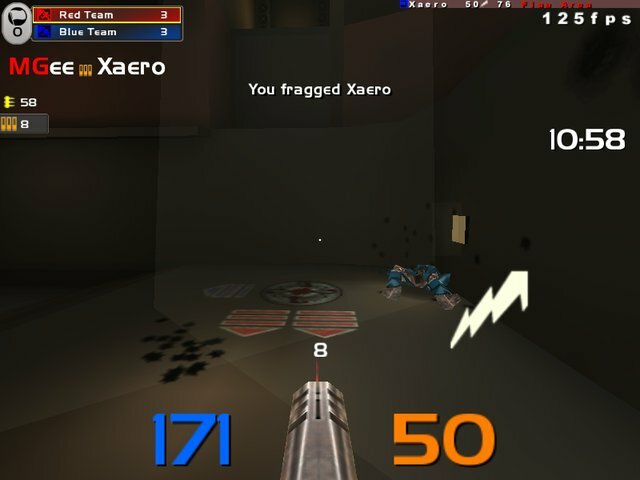 Description: Another experimental Instagib HUD. 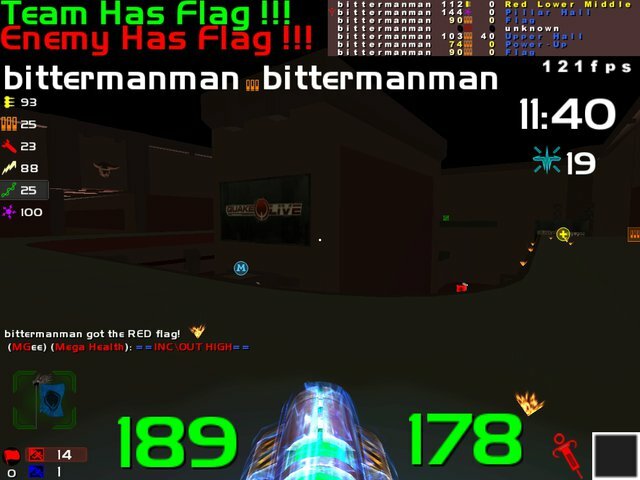 Your teamscore + flagstatus will always be on top, indicated with the teamcolor as score background. 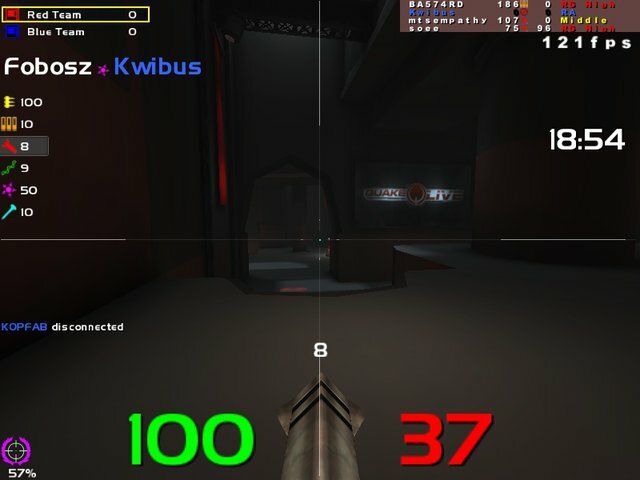 Description: Instagib HUD. What u see is what u get. 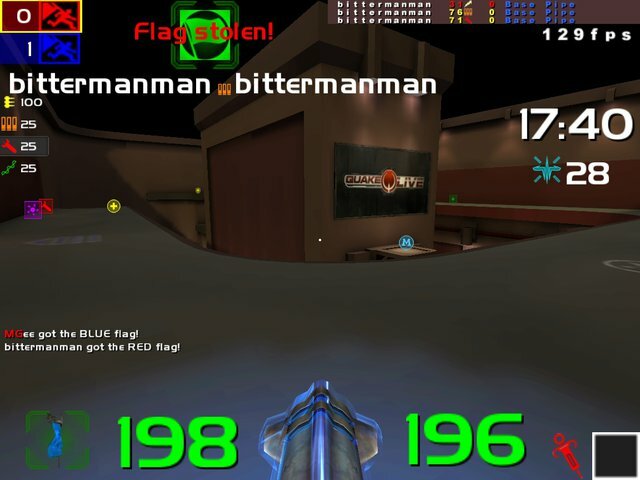 Description: CTF only hud. 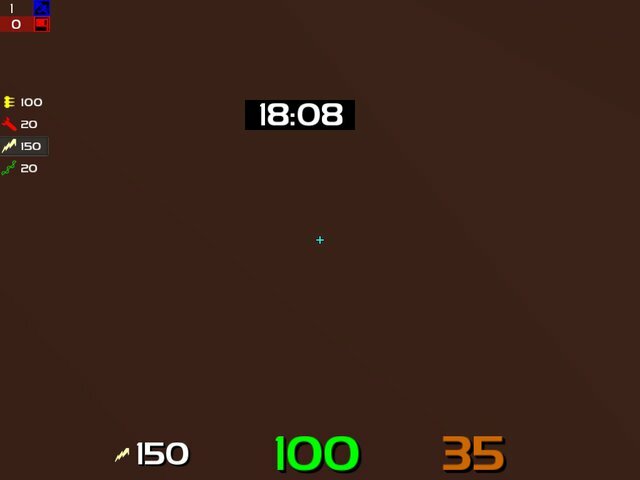 Some experimental stuff, searching for the (my) optimal ammo/timer/health/armor combination. 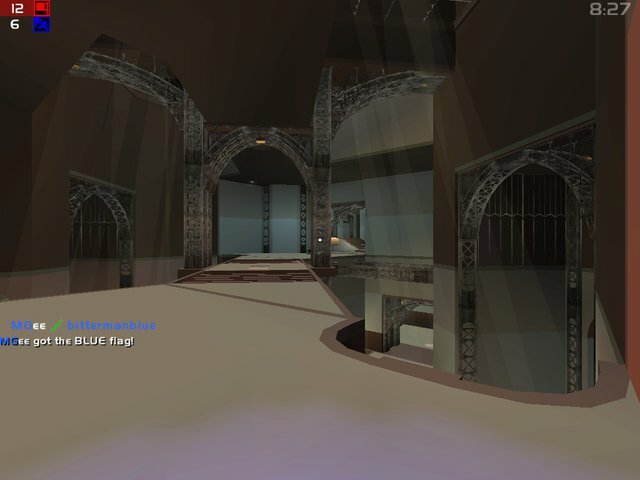 Description: new one, stole a few things from different huds and made a combination with my standart ones i always use. 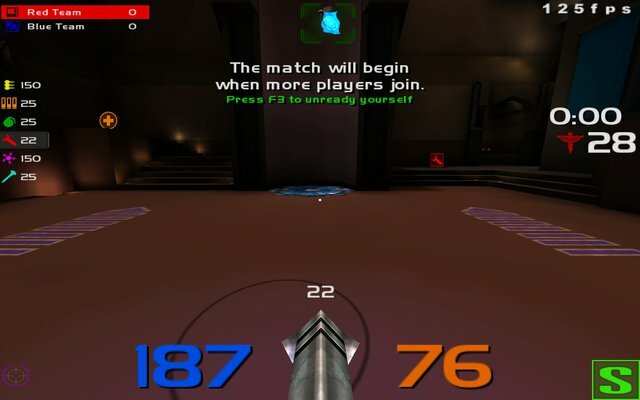 Description: Second Instagib HUD, screenshots tell the differents between each other. 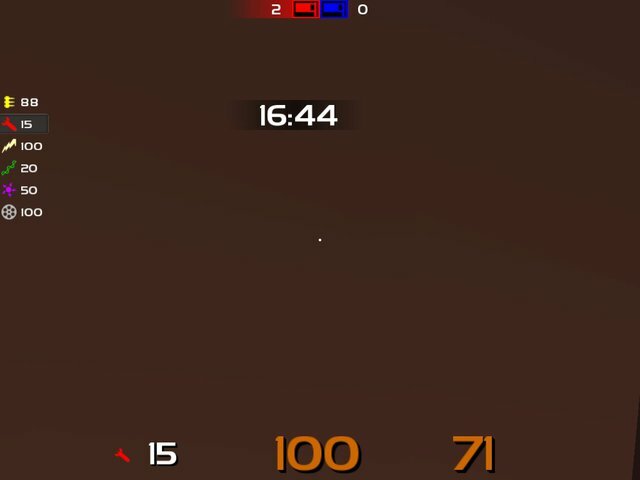 What i forgot to mention with the other Instagib HUD is that i included the 2 best suitable custom crosshairs @ instagib which this is 1 of them. 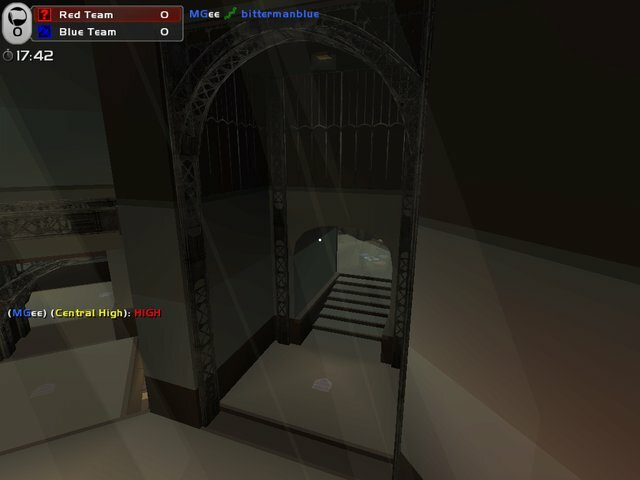 People use these custom crosshairs to improve their aim/accurecy but for some people they will become an annoyance after some time having used. 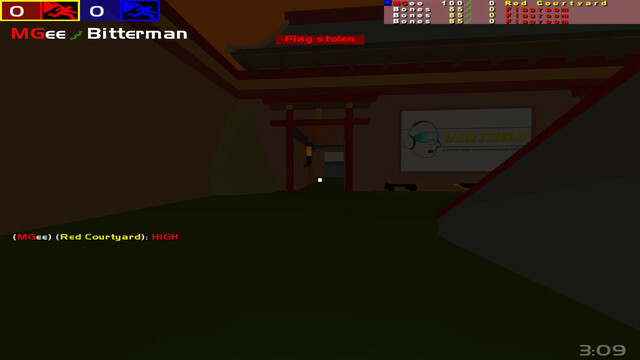 Included the 2 costum crosshairs here btw also. 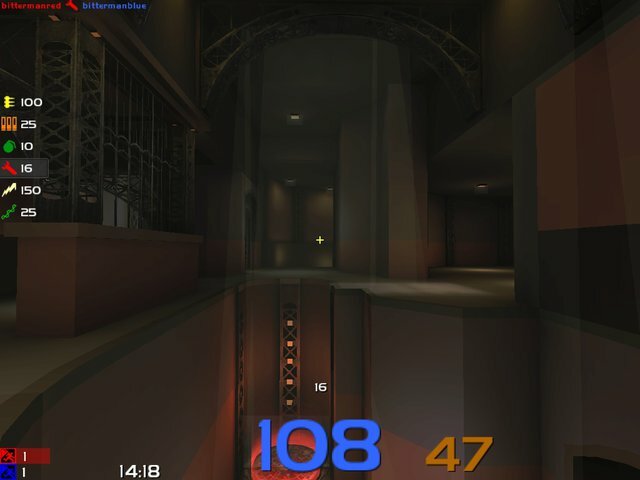 Description: Instagib HUD, playable with any gametype. 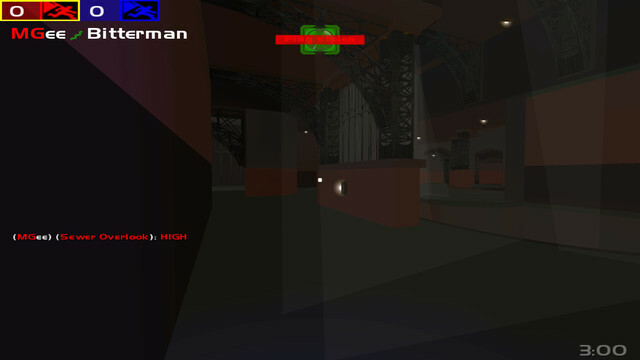 Description: Same HUD as previous one only this one is debugged + some little ajustments/improvements. Description: updated version of my previous one which was too messy, even for me =). 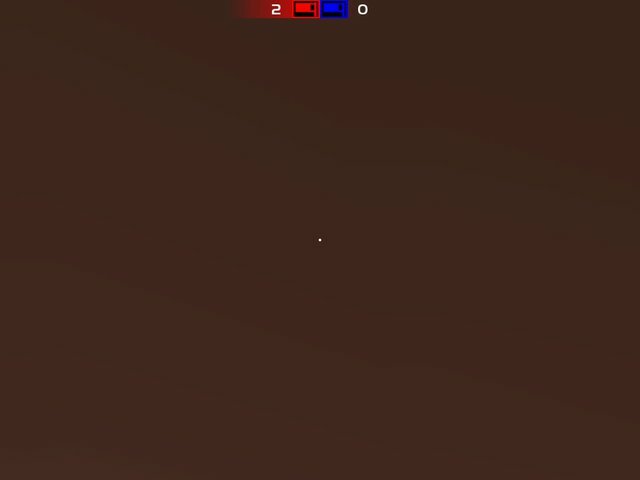 If you want to use the costum crosshair from my previous hud u need to get it there cus i didnt include it with this one. 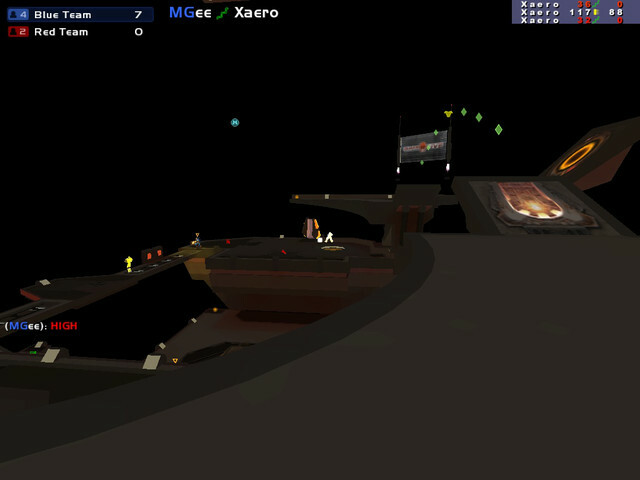 Enter /cg_hudfiles ui/MGee.cfg + /loadhud in your console to make it work. 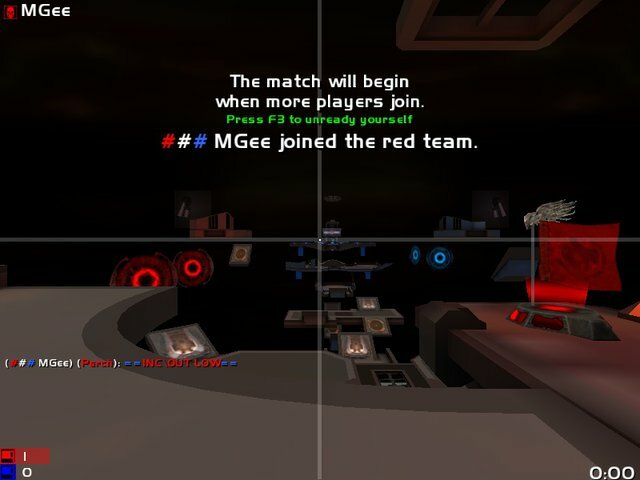 Description: Set *cg_hudfiles ui/MGee.cfg* for the default HUD and *cg_hudfiles ui/MGee+Crosshair* for HUD with the extra custom crosshair i added (2 screenies are included in the file where the custom crosshair is also shown). Typ /loadhud to finish. 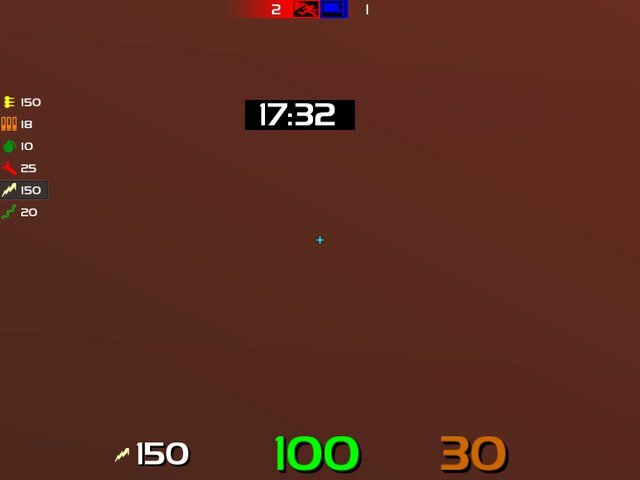 Description: My Instagib HUD. 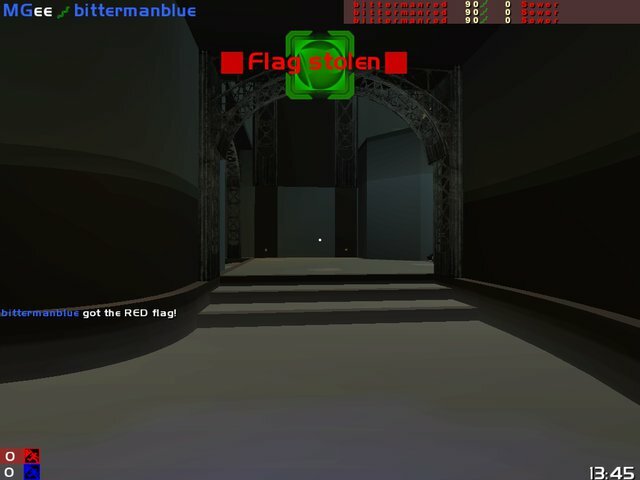 Just removed the unnecessary information from my previous CTF HUD. 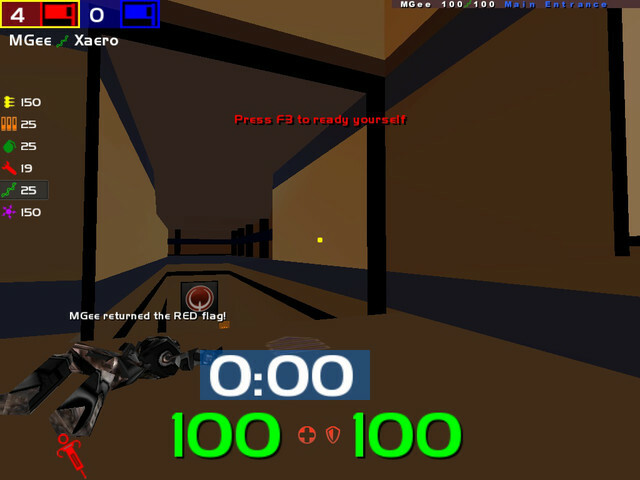 cg_drawgun 0 to remove your weapon. 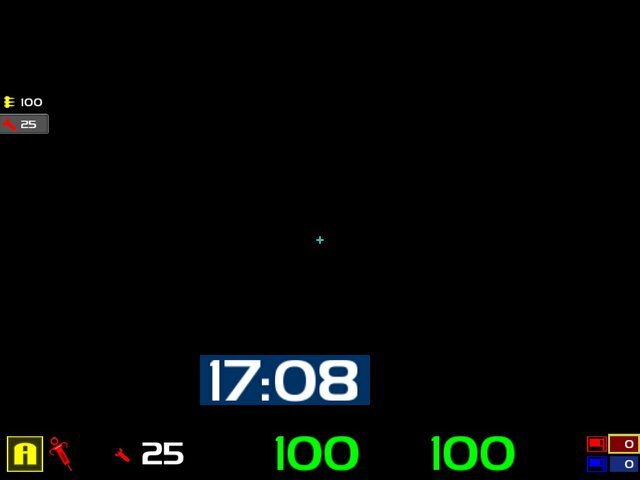 Description: A cleaned and finished version of my previous HUD with a few small adjustments.